Creating beloved gifts and holiday decor doesn't have to take hours carefully cutting and shaping glass. Combine pre-cut fusible glass circles with Glassline Pens or Delphi Exclusive Milton Bridge Enamel Pens to make designer dishware for any occasion. The pre-mixed, easy-to-apply colors make it simple to add a special message, draw fun designs or accent designs. 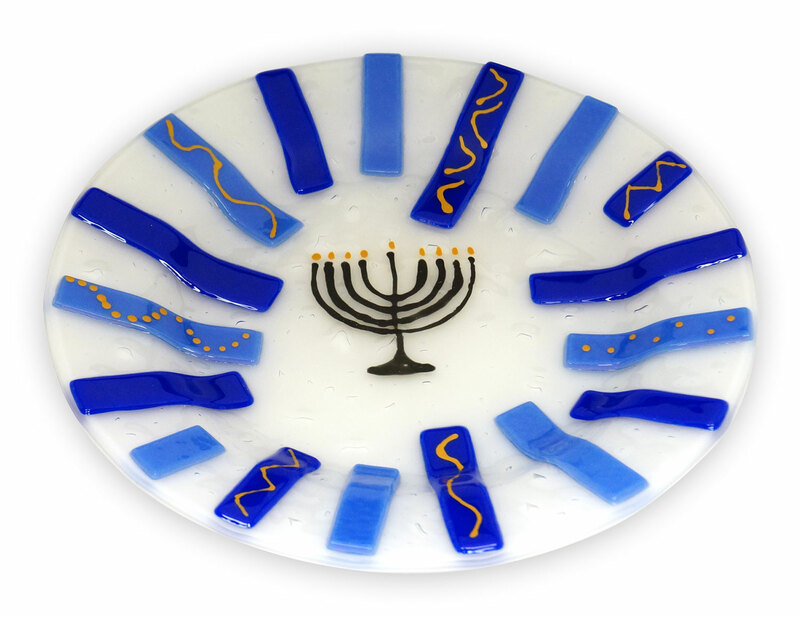 Hanukkah Menorah Plate by artist Wendy Wahn. Merry Christmas Plate by artist Karina Brown. Joy Plate template design by artist Kayleigh Clark. Design a template for your artwork, select free clip art to trace, or use one of our project templates. 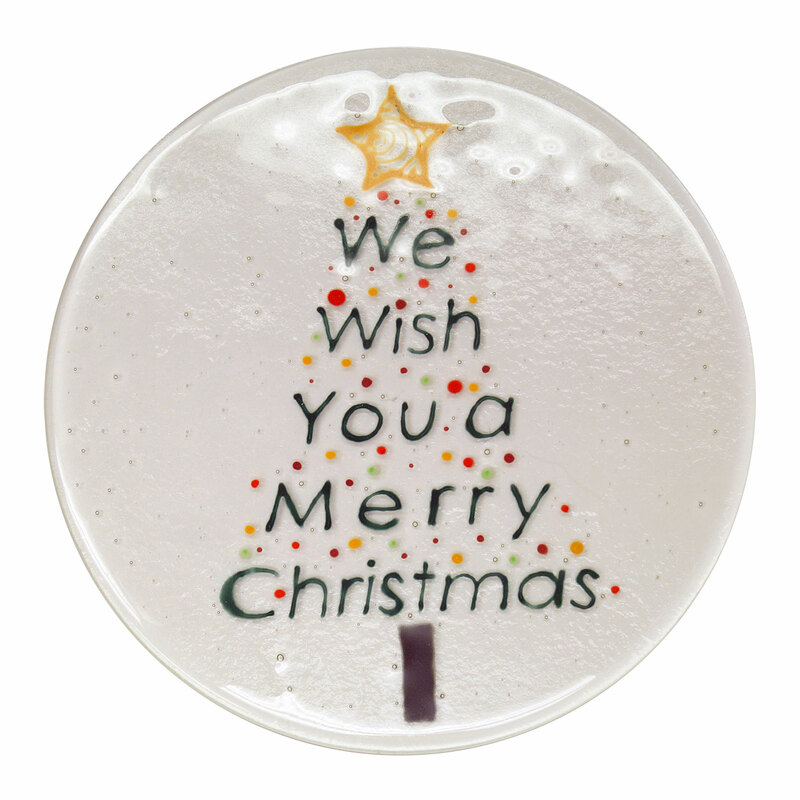 Resize and print the design to fit your pre-cut glass circles. Clean your pre-cut glass circles using glass cleaner or denatured alcohol. Place the clear circle over your printed design. Set the other pre-cut aside. Select Glassline Pen or Enamel Pen colors for your art. Shake them well before use. Delphi Tip: Use a piece of scrap glass as a palette to test the flow and line width of your pen. The tip set for Glassline Pens allows you to create a finer line. 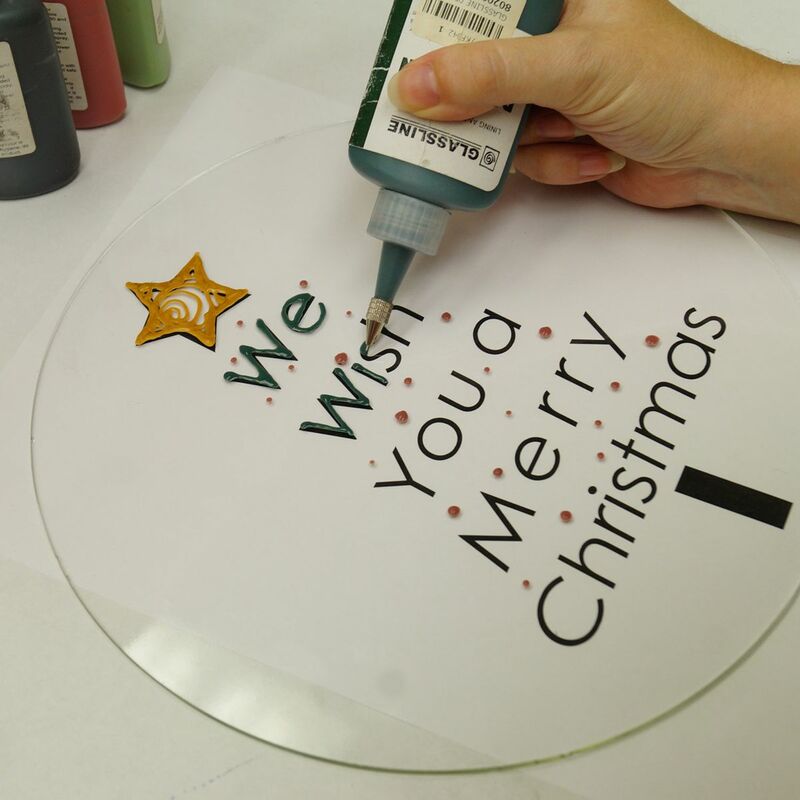 Trace your design onto the clear pre-cut glass circle. 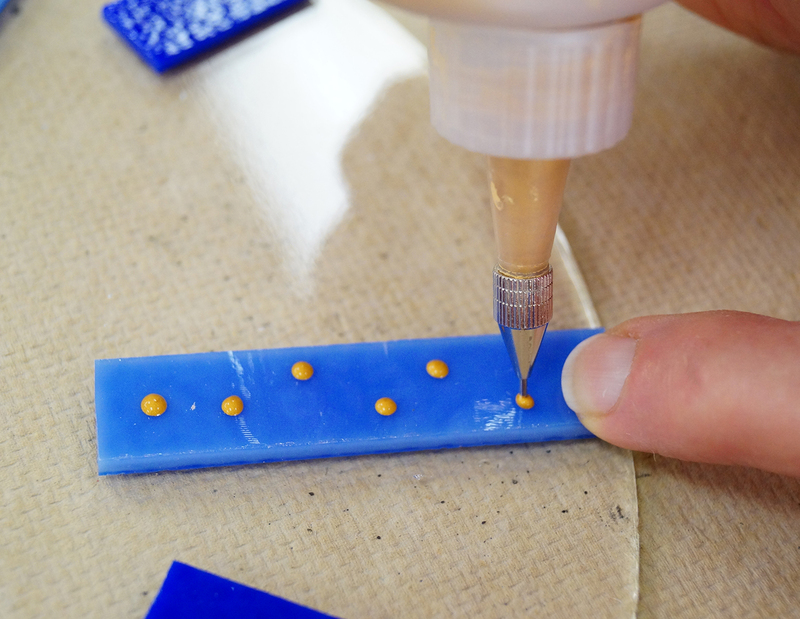 Delphi Tip: It can be helpful to allow each section or color to dry before applying additional colors. This will prevent colors from running or bleeding together. Allow your design to dry completely. Stack your pre-cut circles together on a prepared kiln shelf. Fire to a full fuse. Note: Glassline Pens recommend firing to 1500° F for best results. Delphi Exclusive Milton Bridge Enamel Pens mature at 1382° - 1450° F. Be sure to adjust your firing schedule to properly mature your artwork. 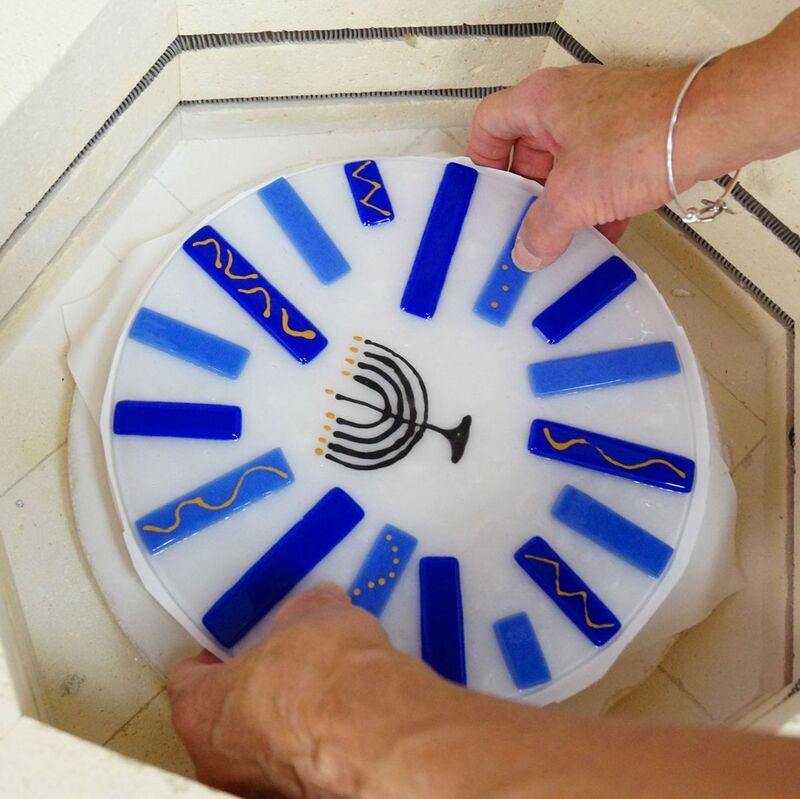 Once cool, clean your fused glass. Center on a prepared mold and fire to slump or display in a stand. It's so quick and easy to make colorful, unique dishware! Consider giving a keepsake holiday plate full of cookies, making a dish to commemorate a special event, or designing monogram dinnerware for a newlywed couple. Additional Design Inspiration: Use a greeting card, wrapping paper or seasonal paper napkin as the template for your design. From birthdays and babyshowers to Thanksgiving and winter holidays there's plenty of ideas just waiting for you to make into custom dishes.